Emery’s showing lot os artistic ability. Her teachers are really impressed with her eye for detail on her work. 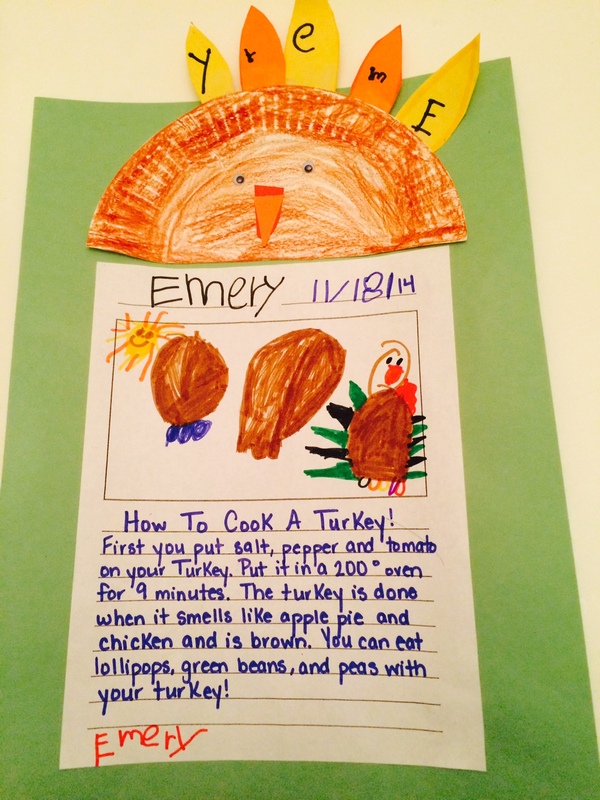 Here’s a turkey drawing she made. She did not make the paragraph of writing but wrote her name, dates and put together everything else.